Golden West Electric City market, is Guangzhou property management company to build up the electrical wholesale market. Is located in the Liwan District, Dongfeng West Road and Central City West Interchange, near the Guangzhou Railway Station, Baiyun Airport, located within the loop Pro, Guang-Qing Expressway and Guangzhou-Foshan Expressway and other traffic routes, traffic in all directions. Electric City parking lot, parking convenient, efficient and safe loading and unloading of goods. Golden West Electric City is a business field made ​​famous professional stage sound, lighting, audio-visual equipment, professional audio-visual products of large commercial city. 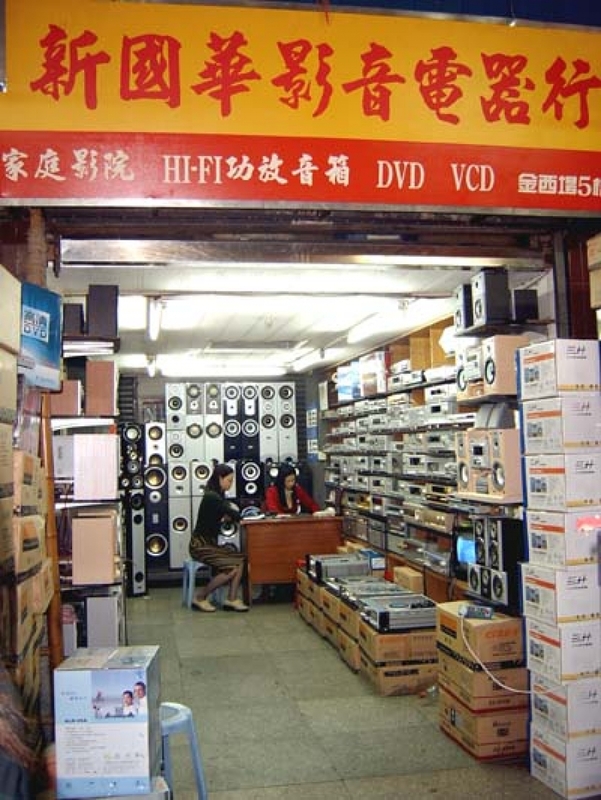 Main business and various brands of amplifiers, DVD players, home theater, active (combination) of speakers, cables, microphones and related equipment. Wholesale, retail in one, good operating order, traffic, such as carp. Sales floor more than a few shops, mostly manufacturers and manufacturers of shops, quality, price and service are guaranteed. Golden West Electric City market after years of development and improvement has become a national reputation and influence with a certain large-scale professional electrical wholesale and retail markets, is the ideal client business and shopping venues. Golden West Field Circuit City Welcomes You!